Here are the best microphones for gaming that are worthy of your money. Whether you’re a gamer, streamer, or a YouTube video producer, you’ll find a mic for your needs. Picking a microphone for gaming isn’t a straightforward process. There are many different types of microphones, and you have to know what you need it for. This is a buyer’s guide to gaming mics. For gaming: get a detachable microphone or mic mod like ModMic and BoomPro or a clip-on, lavalier microphone like the Zalman. 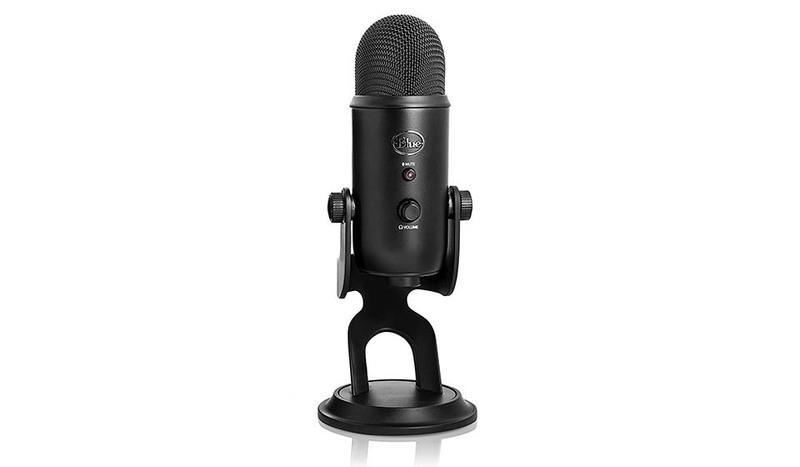 For game streaming: you should up your game and get a quality standing mic like Blue Yeti or iCE. Twitch streaming and YouTube video production are getting more competitive, you need the right streaming microphone to be successful. For more serious production: get a professional cardioid condenser microphone with XLR cable and other necessary equipment. Do it like the pros. AT2020 is superb. Whatever type of gaming microphone you use, set your budget beforehand and stick with it. How Much Does a Decent Microphone Cost? You can pay hundreds of dollars, $300-$400 and more for high-end mics, but you can get a good microphone around $100. And, a decent microphone around $50. If you’re just starting out with Twitch streaming or your own YouTube channel, you don’t need hundreds of dollars of equipment. Get something more affordable and upgrade once you grow and become successful. For streamers, you might want to invest in a pop filter if your streaming microphone supports it. So, you don’t have to worry about breathing too loudly. They’re cheap and effective. AntLion ModMic Wireless is the best microphone for gaming. Read the full ModMic Wireless review. You can use this mic with any kind of headphones you have. You attach it with strong magnets that keep it on the headphone. Setup is simple and doesn’t take more than a couple minutes. A great thing about this mic is its reliable connection and over 12 hours of battery life. It works without any noticeable delay, so you don’t miss any important sounds. Also, the microphone is well built and has a lovely, functional carrying case. On top of that, it sounds clear and without distortion, suitable for professional use too. You can even choose from uni-directional and omnidirectional modes. It’s a wireless mic mod that requires charging and 12 hours might not be enough for serious gamers. If you already own a great pair of headphones but lack a good microphone, AntLion ModMic Wireless is the best gaming microphone right now. It’s a bit pricey but totally worth it since it’s the most convenient and reliable mod microphone on the market. It offers superior gaming experience, check it out. The best wired gaming microphone. It’s a high-quality microphone that can be attached to any pair of headphones. It’s the best microphone for gaming with a headphone jack. You don’t need to spend money on a new headset. Make a headset out of your old headphones. First of all, it’s made of high-quality materials that make is last. Mostly sturdy plastics and rubber but the mic looks and feels solid. You can attach the microphone to any headphones with the help of magnets that stick to the side of an earphone. You get 2 of these so you can easily switch the mics. The magnets are strong enough to hold the weight of the mic easily, though if you accidentally pull on the wires, it’s going to fly off. Thankfully this doesn’t happen very often. The magnets attach the mic at different angles so you can easily put it out of sight when not needed. The new feature of ModMic 5 is the ability to change how the microphone works. The mic itself has a small switch where you can change from uni-directional to omnidirectional mode. Basically, you can use the mic in different situations. For noisy environments use the uni-directional mode which will focus on your voice and omit the background noise. The voice quality is good, maybe not as good as a studio microphone for a couple hundred bucks, but good compared to any gaming headset mic out there. You also get a mute module but no volume control. 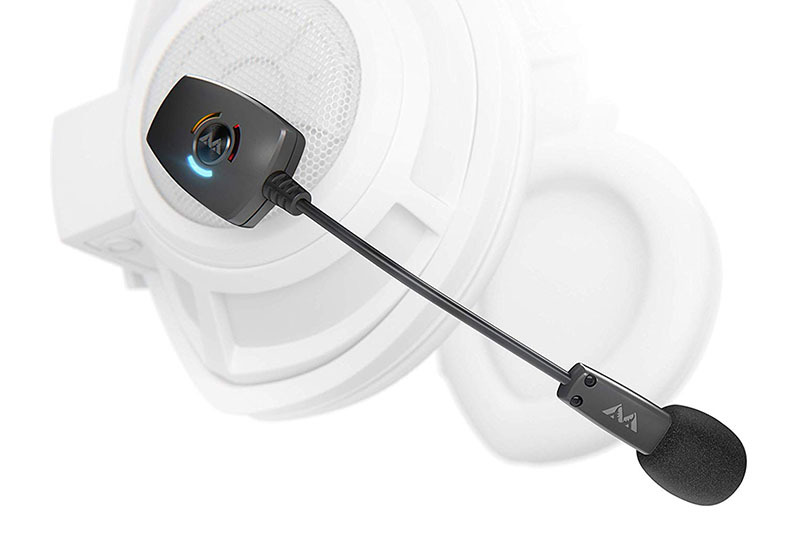 ModMic 5 can compare to the best boom microphones out there when it comes to Skyping or gaming. The only annoying thing with ModMics has been dual cables. Unfortunately, it’s simply something that comes with the design. AntLion gives you pretty much everything you could possibly want to keep the cables under control. 10 cable clips are plenty to keep the wires in order. But depending on how long the headphone wires are, you might have to deal with 2 different lengths of cables. Also if you use the microphone on 2 headphones, using clips or cable wrap becomes almost impossible since it takes quite some time to remove them. As long as you don’t move around too much, the cables won’t bother you. But if you have the habit of standing up and walking around with your wired headphones, adding the ModMic will make this harder. If you want a quality solution to make a headset out of your old headphones, get AntLion Audio ModMic 5. You won’t be disappointed. Blue Yeti is the best microphone for streamers. Its vintage design looks good, and it’s made out of quality materials. You can use it for years. For this reason, the condenser mic is especially useful for beginners and new streamers. It’s easy and quick to set up as you just plug the USB and start streaming. In addition, there’s a 3.5mm (headphone jack) port for plugging your headphones. You can hear exactly what you’re recording. You also get controls to change microphone volume, gain, and polar pattern. Choose from cardioid, omnidirectional, stereo, and bidirectional pattern. The USB microphone records a studio-grade sound. The audio is clear and way above its price tag. And when you want to upgrade your studio there’s a vast number of accessories you can get. A new shock mount or a boom arm? You can get it all for an affordable price. The mic stand is pretty low, which can be an awkward position when you put the mic on the table. You will maybe have to stack it with some books for example. Blue Yeti is a great choice if you’re starting your streaming career and if you’re looking for a solid, value-for-money recording microphone. It’s the go-to choice of many pro streamers (just check Twitch). Blue Snowball iCE is the best cheap microphone for streaming (under $50). If you’re only streaming a day here and there, you might want to get something more affordable. 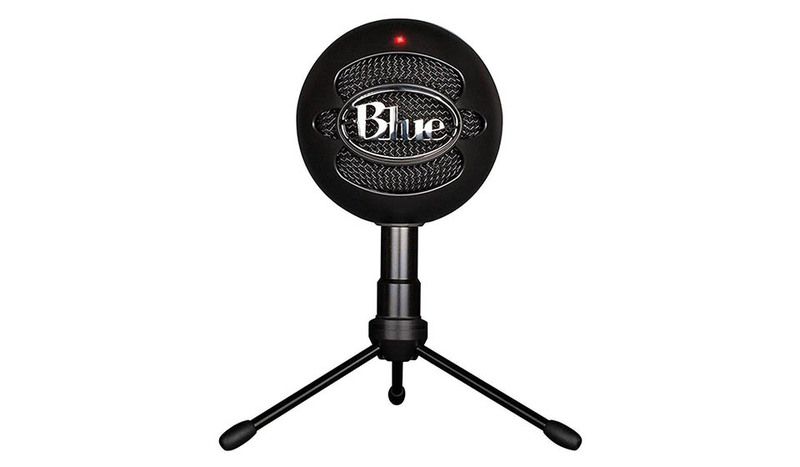 Blue (great mic company) has you covered with the Snowball. The mic itself looks sturdy and is quite heavy, which gives it a premium feel. It’s small and portable standing mic that’s a cheaper copy of the Yeti. To start using it, just plug in the USB, and you’re ready to entertain your followers. However, its sound is not high-end, but it’s great for the price. It’s definitely way better than any headset microphone. The cable durability isn’t top-notch, and the red LED light can be annoying when gaming. Blue Snowball iCE is a basic standing microphone that performs well. Considering its budget price under 50 dollars, you shouldn’t expect studio quality, but it’s the best and perfect mic for streamers on a budget. Sony ECMCSC3 is the best clip-on gaming microphone (lavalier). It’s affordable and offers nice sound quality. The reason why we recommend this microphone more than the Zalman below is because it’s less sensitive to background noise. Sony is better in noisier environments. True, both are clip-on (lavalier microphone) and omnidirectional, but the Sony performs better. For $20 you’ll have a hard time finding a more convenient headset microphone with good sound quality. Clip it to the headphone’s cable, plug in the PC, and you’re good to go. You get a clear, distortion-free microphone that’s perfect for Discord or in-game chat. Just make sure to stay away from noisy rooms. It’s quite sensitive and picks up too much ambient noise if in a noisy environment. If you’re gaming in your own room, it’s not a problem. 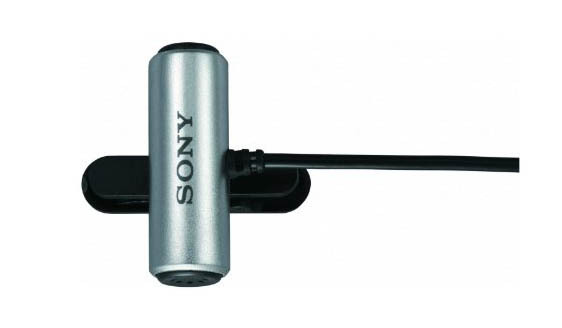 For a cheap, convenient and quality clip-on microphone, get the Sony ECMCS3 as it offers a lot of value for little money. 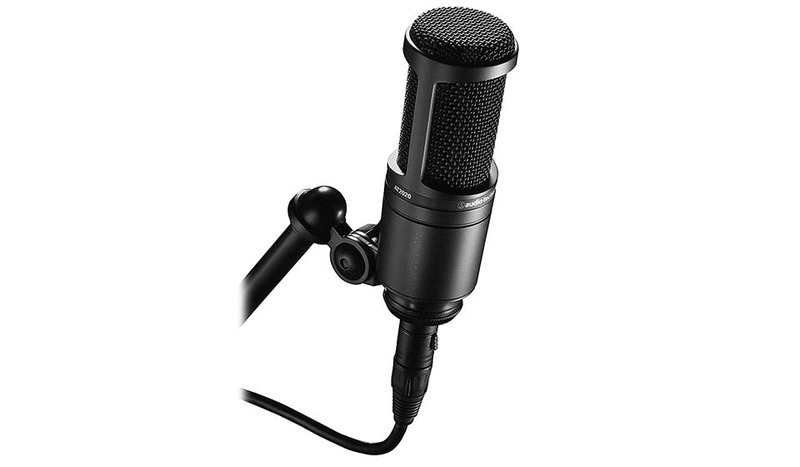 Zalman Zm-Mic1 is probably the most popular clip-on microphone on the market due to the low price and reliable performance. It works well, especially for under $10. It’s simple to use with a clip-on design, plug and play without the need to play with settings. Like the price range would suggest, this is the simplest possible microphone you can get. And that’s its advantage. You get a good mic for gaming and when needed you can use it for Skyping or Discord as well. If you’re playing in a quiet room, it will work fine, but if background noise is present, you won’t have the best sound quality. 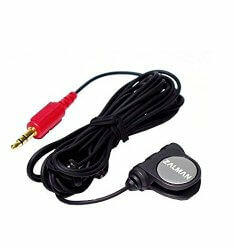 Zalman clip-on microphone is very sensitive to background noise, and it will pick up a lot of unwanted sounds, from air-conditioning, washing machine and even sound from headphones at higher volume. For the absolute cheapskates, Zalman Zm-Mic1 will do the job better than any other cheap lavalier microphone. But keep in mind it’s a budget option with its shortcomings. V-MODA BoomPro is the best detachable boom microphone. If you have headphones with detachable cables, V-Moda BoomPro is the best gaming microphone. 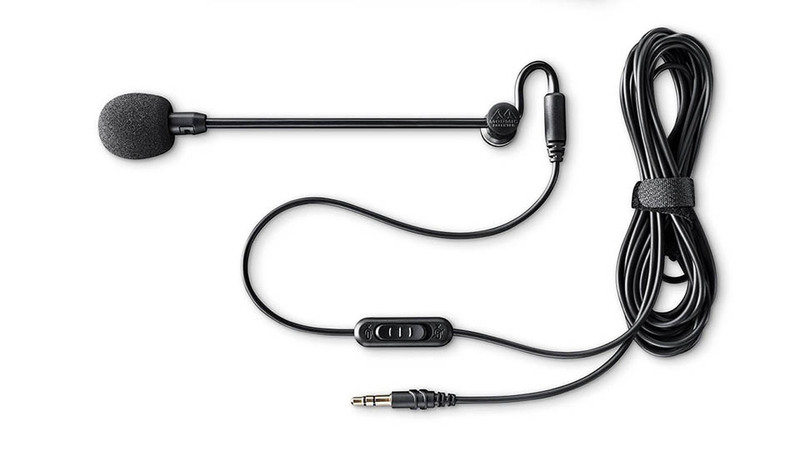 It’s basically a new headphone cable with a boom microphone attached to it. Replace the old wires with this one, and you have a very nice headset. The good thing about it is that you only need one 3.5mm (headphone jack) input to use it, so it works with PlayStation 4 and Xbox One with the new controller or the adapter. No need to get the 3.5mm splitter as you’d need with double plug-ins. The sound is clean without hiss or distortion and has just the right amount of sensitivity. It will pick up very little background noise which is exactly what you want for a gaming headset. 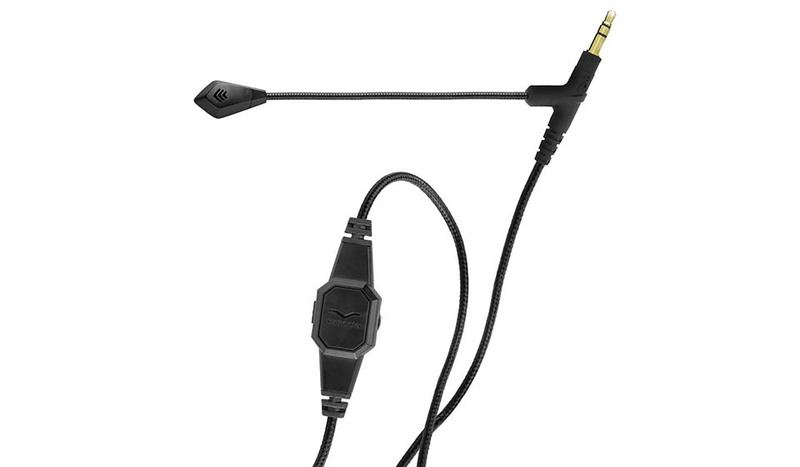 BoomPro only works with headphones that have detachable 3.5mm cable (usually higher-end headphones). If your headphones come with attached wires, it won’t work. V-MODA BoomPro microphone is a smart and quality solution for V-Modas as well as other headphones that makes creating a gaming headset easy. Audio-Technica AT2020 is the best professional microphone for streaming under $100. If you’re making Youtube videos or streaming on Twitch, you need a high-quality, cardioid condenser microphone. Bad quality sound is the worst thing for your ratings and viewer numbers. If you’re serious about your streaming or video production, these are the kind of tools professionals use. A studio-grade condenser microphone that doesn’t cost an arm and a leg. You can buy many different accessories for it, either the more professional arm stand, a shock mount or regular table legs. Combine a set that best fits your desktop needs. This is a professional cardioid condenser microphone, and you’ll probably need other fancy equipment to make good videos, but at least you know you’ll have top notch audio quality. Because it doesn’t have USB or 3.5mm connection (but XLR), it takes more professional equipment to use, thus costing more money. Plus, you’ll probably need to buy an additional boom arm or a mic stand which increases the initial investment. Check Audio-Technica AT2020 microphone only if you’re serious about having top-notch audio quality and are willing to invest a bit more.